Suffolk is the perfect place to both set and write spy novels, according to Edward Wilson whose sixth novel, South Atlantic Requiem, was published recently. 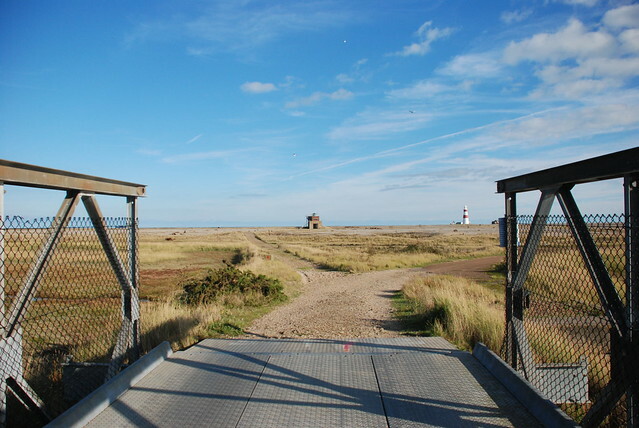 The county and especially its coastline makes frequent appearances in his output, partly because his protagonist, William Catesby is a Lowestoft boy and partly because of Suffolk’s place on the espionage frontline during the Cold War, with its military bases and the listening station at Orford Ness. Edward Wilson is much more on the John Le Carre wing of the secret agent genre than the Ian Fleming one. Indeed, the former is someone he admires. “Aside from myself he is the closest to being an anti-establishment writer within the spy fiction genre. “He is very good and, contrary to the clichés, he has gone to the left as he’s got older. He is the most westerly spy novelist in the UK and I’m the most easterly one.” I’m speaking to the author in the summer house in his Chediston garden, near Halesworth. He explains his love for this part of Suffolk. “I’m a lowlander and I don’t care for mountains. What I like about these coasts and marshes is the secretiveness of them. For me Suffolk was a hideaway. I like the quietness. The beauty of Suffolk is low-key. I like that.” But what was Edward hiding from? A barely detectable American accent, that is just occasionally noticeable, provides the vital clue. He was born in Baltimore and served as a Special Forces officer in Vietnam. He received the Army Commendation Medal for his part in rescuing badly wounded Vietnamese soldiers from a minefield. His other decorations included the Bronze Star and the Combat Infantryman’s Badge. “The five rootless years after I left Vietnam were not particularly happy, although I did get an MA in English Literature and learnt how to speak German. I was unsettled. I think in retrospect it was PTSD. I was at Edinburgh University and the Americans pulled my grant, a veterans’ benefit. It was during his teaching career, that Edward began to write, although it has only been since he retired that he has achieved both critical success and high sales volumes. His Catesby sequence of novels follows the Secret Intelligence Service (SIS) or MI6 operative from the hotspots of World War Two, the Hungarian Uprising of 1956, attempts to destabilise Harold Wilson’s administrations and onto the Falklands War, the subject of his latest release. Each book is a masterpiece of interwoven real events and realistically imagined sequences within and surrounding them, including gunfights between Soviet and SIS agents on Shingle Street and interrogations at RAF Lakenheath, which Catesby engagingly travels to by bus. Catesby is certainly an impressively multidimensional character – and a conflicted one at that - being a socialist working for the British Establishment. What also makes him such a fascinating and poignant character is the fact that he doesn’t really fit in anywhere, either at work or at home. He is totally loyal to Britain, unlike most of his co-workers. “In one of the books, he looks around his colleagues in SIS and reckons that half of them are spying for Moscow and half for Washington. He was the only one working for Britain,” explains Edward. And Catesby has also grown away from his beloved Suffolk. “When he meets Harold Wilson in A Very British Ending, the Prime Minister speaks with a broad Yorkshire accent, one of the first things he reprovingly says to Catesby is that ‘you’ve lost your accent.’ So here you have a man who can pass as a native speaker in three different languages, he’s become middle class and he’s married into the upper classes and has a comfortable lifestyle. So when he goes back to Lowestoft to meet his old school friends at the pub they can tell he’s speaking ‘fake’,” Edward explains. It is this sense of personal alienation and betrayal that makes him feel guilty. He gets over the guilt by secretly becoming more and more left-wing. By 1982, Catesby is involved in brokering the Peruvian peace deal between Britain and Argentina to cease the Falklands conflict. This deal was scuppered by the sinking of the Argentinian battleship The General Belgrano as it was sailing way from the British exclusion zone around the islands. How to deal with the rich and powerful is another reason why Edward Wilson feels so at home in Suffolk. “I think because of the isolation, the people are also secretive and there are usually good reasons for this. You go back and look historically and look at all the poaching and other things they did, touching their forelock with one hand and giving the ‘V’ sign with the other! “I like that duplicity and secrecy. They’re a very quiet people. Much quieter than other non-cosmopolitan types. They’re always watching!” he adds approvingly. Watch out carefully for more William Catesby novels, set in the middle of major crises, but always rooted in Edward Wilson’s beloved adoptive county.